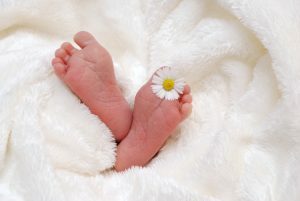 What to expect in your baby’s first two months - InterMed, P.A. First, you should always feel comfortable asking your provider. We’ve heard almost every possible question, so don’t be embarrassed. We’re here to help you navigate the stressful, exhausting, and wonderful journey of parenthood. What’s normal in the first two months? For new parents, life exists in hour time periods. Over time, pooping become less frequent, maybe only once or twice per day by 2 months old. Babies can be a bit nocturnal in the first month or two, having their most alert periods in the middle of the night. While this can be exhausting, the good news is that it won’t last forever. Your baby’s gut didn’t digest much in utero, so it takes some time to get up and running. They have immature abdominal muscles and most of their poops are produced while horizontal, so some wriggling and grunting is usually required. Breastfeeding is difficult to figure out for most parents and babies. It can be uncomfortable, and often takes a few weeks to get the hang of it. Stick with it, and look to your lactation consultant, pediatrician’s office, and community resources for support. Formula feeding (either exclusively or in conjunction with breast milk) is also good. Babies will sometimes pause their breathing and then take several quick shallow breaths to catch up. These pauses should not last more than 10 seconds. Signs of this for infants include their skin turning a blue or dusky purple color, the skin around their ribs or collar bones puckering in, or their nostrils flaring out. Infants younger than 3 months have a fever when their rectal temperature is greater than 100.4° F. Call your provider right away if your baby has a fever. Yellow skin is common and often clears up on its own, but call your provider if you notice it getting worse. Call if you notice fussiness that comes during or after every feed, with spitting up, or crying that lasts more than 3 hours total per day. Finally, remember to take care of yourself. Postpartum depression is very common, and it can be really hard to talk about. The first few months of parenting are stressful and exhausting. Many people feel isolated during this time. Reaching out if you’re struggling is hugely important for both you and your baby’s health.